It is well recorded that, from the outset in 1868 until her death in 1901, Mary, the wife of Dr John Langdon Down was responsible for the administration of Normansfield and much of the correspondence with parents, guardians, etc. Dr John Langdon Down acted as medical director while simultaneously conducting a Harley Street practice. Reginald Langdon Down took over as medical director on the death of his father in 1896 assisted by his brother, Percival. Reginald’s wife subsequently became closely involved with the administration. 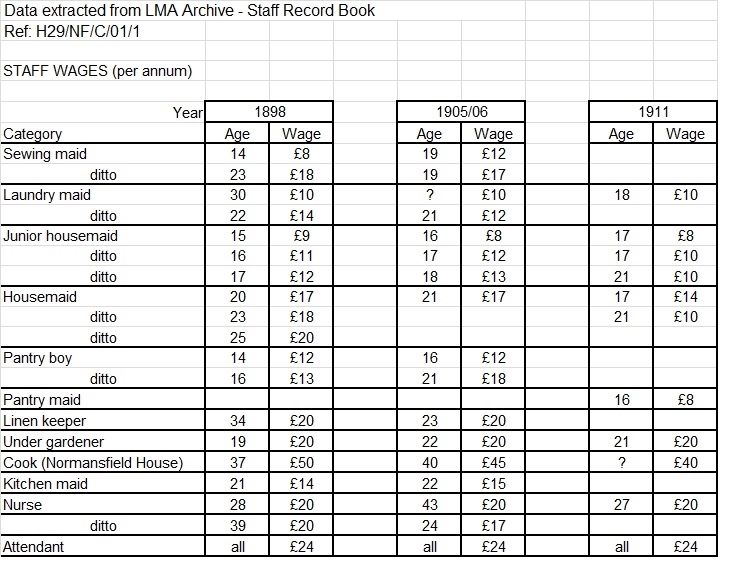 The engagement of senior staff is recorded in the Staff Record Book (1898 onwards), but details of their references and salaries are not entered. The following table shows a range of other staff positions and the amounts paid to them. Over the period 1898 to 1911, wages remained almost static. Indeed the pay of under gardeners, nurses and attendants remained at a constant level. 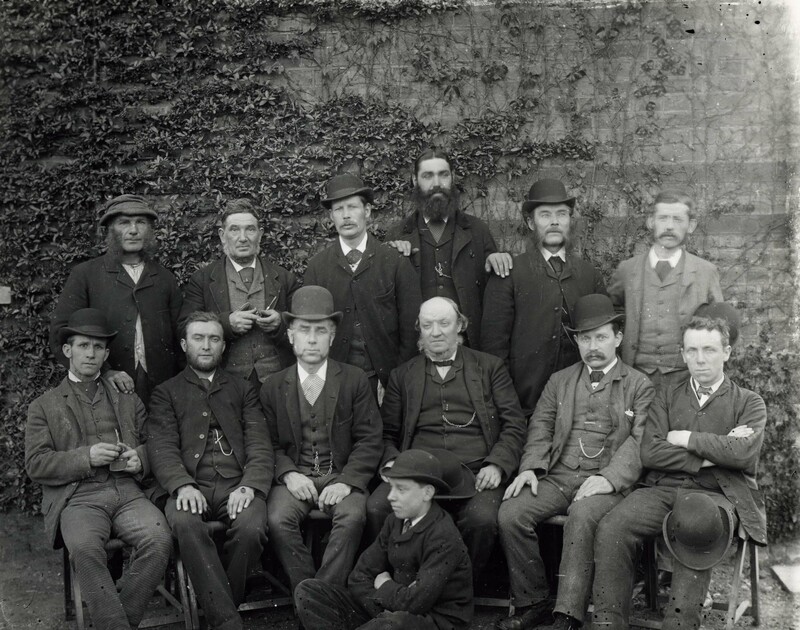 During 1898, 88 new employees were engaged of whom 31 left in the same year (12 dismissed). Of these, a further 20 left the next year (2 dismissed) after less than one year’s service. The reasons for dismissals were stated and indicate that standards of competence and behaviour were demanded. Attendants were the male equivalents of nurses and both were what we would today term as carers as opposed to trained medical professionals. 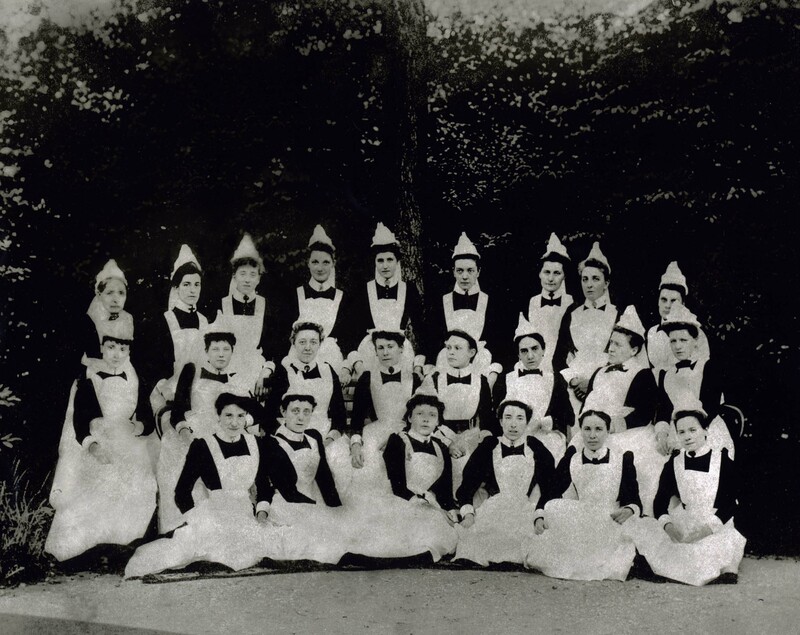 The records show that people employed as nurses came from a variety of unrelated working backgrounds. A high percentage of men recruited as attendants (and some other jobs) came following military service, a highly favoured source. The turnover of attendants, however, was comparatively high compared with that of nurses as many of the men taken on proved unsuitable. A degree of in-house training must have been required for both nurses and carers. 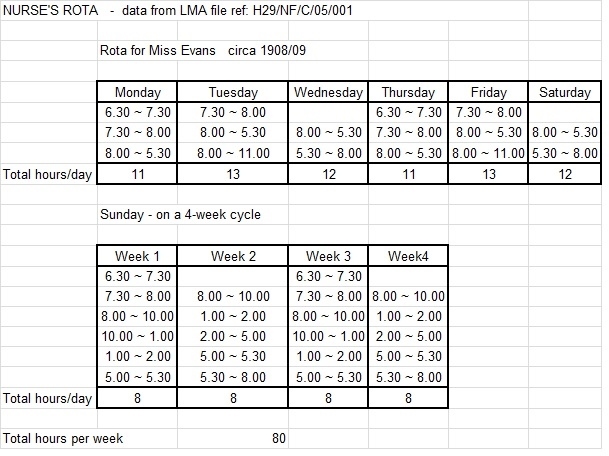 The following typical rota for a nurse illustrates the long hours of work required, 7 days per week. The rotas do not indicate what time off work is given, but clearly continuous work of this nature without a break could not have been expected. The policy at Normansfield was for patients to sleep in small groups to a room rather than in large dormitories to try to create a domestic type atmosphere for them. A nurse (for girls) or an attendant (for boys) slept in each bedroom with the patients. In addition, many other staff were provided with accommodation on site. In addition, the Staff Record Book indicates the employment of additional staff who did not reside on site.